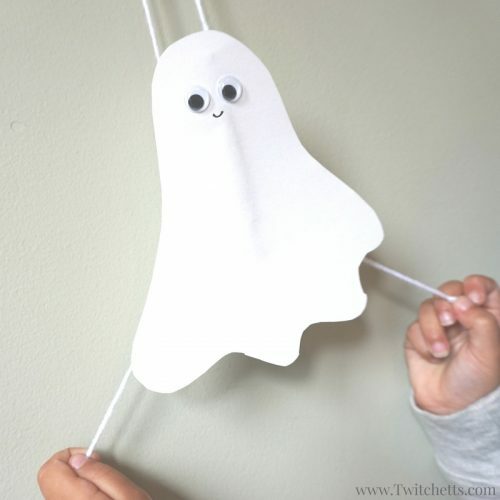 Create flying construction paper ghosts using white construction paper and toilet paper tubes. 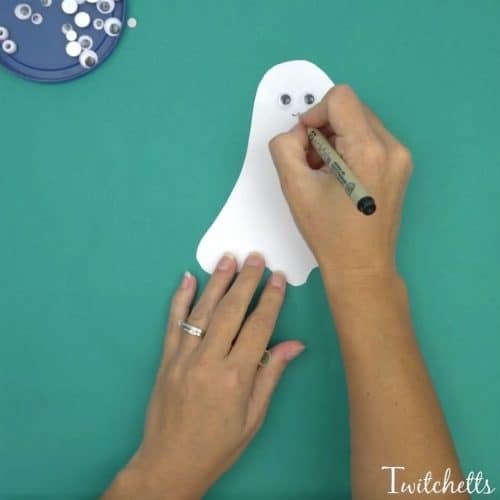 This simple craft will lead to fun kid approved Halloween ghost decorations. 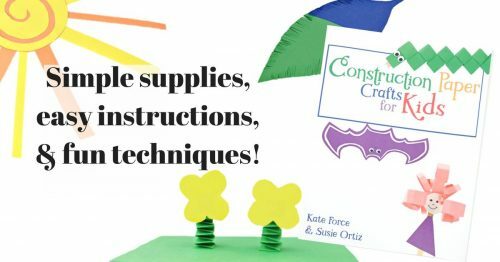 Ever since we wrote Construction Paper Crafts for Kids, the ideas of what we can do with this amazing craft supply seem endless! Last week we shared with your our climbing spiders. 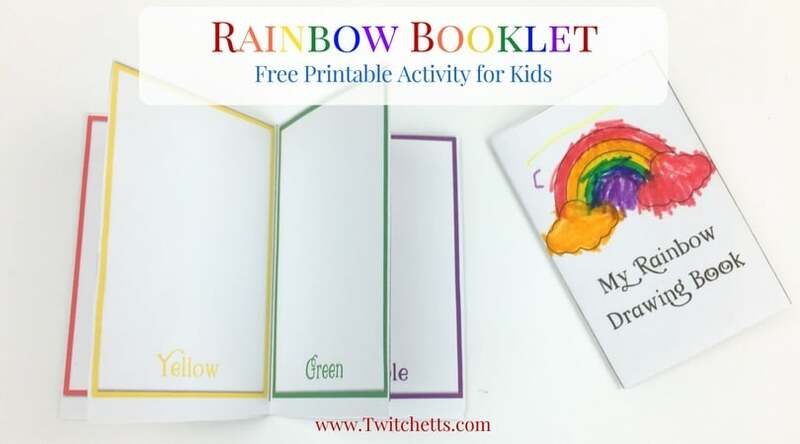 These were so much fun to make we knew we couldn’t stop there! 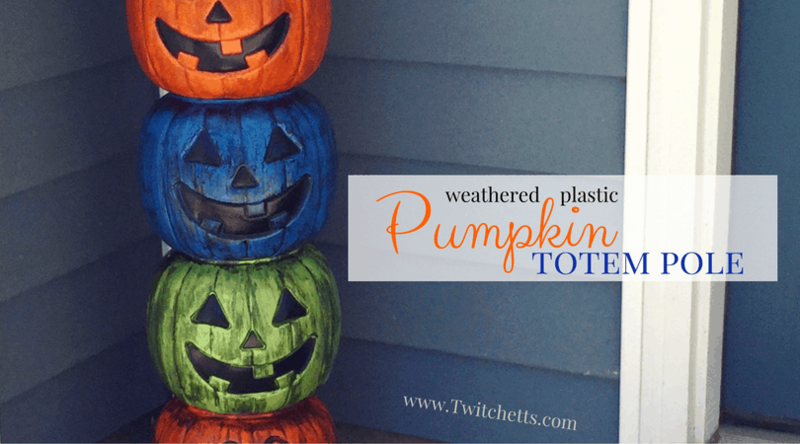 So with Halloween right around the corner, we decided why not make fun flying construction paper ghosts! 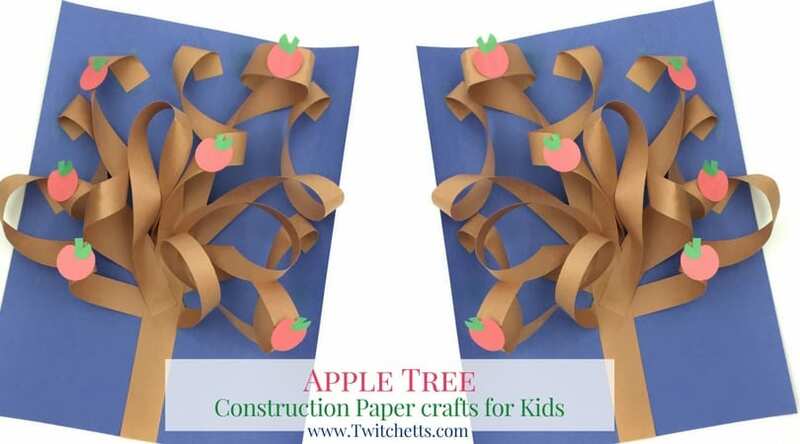 These step by step instructions for construction paper ghosts will help you create this fun craft. 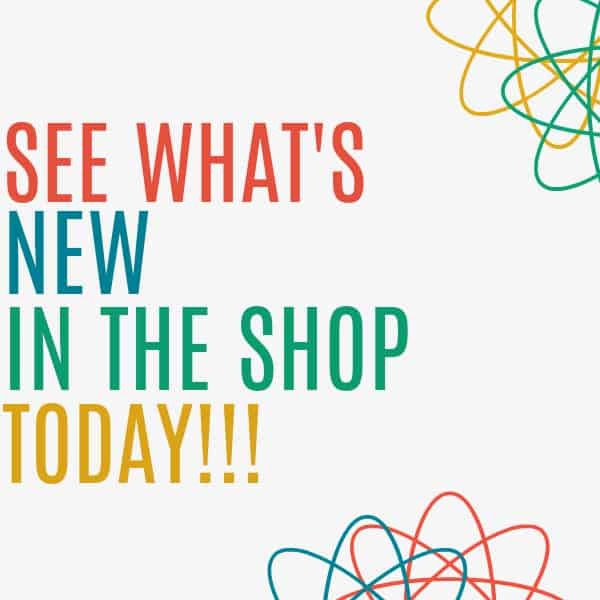 Check out the video at the end to see it all in action! 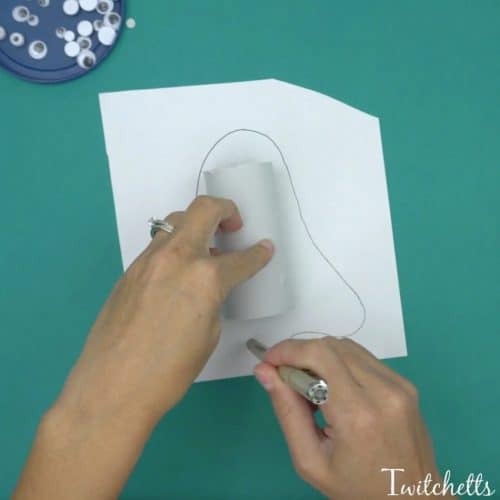 Start by placing your cardboard tube on your white piece of paper. You want to be able to hide the tube behind your ghost, so use the tube as a guide to make sure your ghost is big enough. 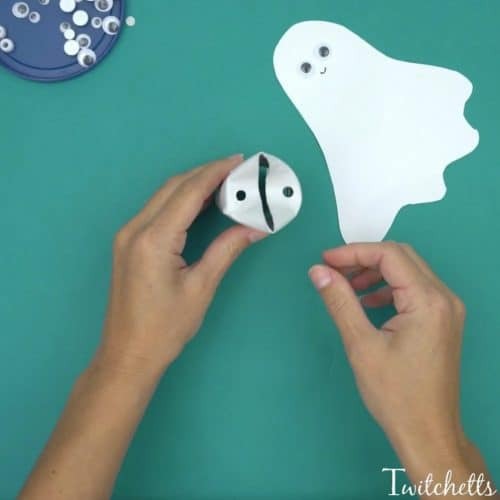 Once you have cut out your ghost add on a couple googly eyes and a smile! Using your hole punch make 4 holes in your cardboard tube. Two on each side, across the tube from each other. On one end of the tube press down the ends so the holes fold down. Use a piece of tape to create a “needle” on your string. Start your string a hole on the unfolded side of the tube. Pull the string all the way through the tube and out the hole on the opposite end. Thread your string through the hole across from where you just came out. On each end of the string, you want to secure a bead. 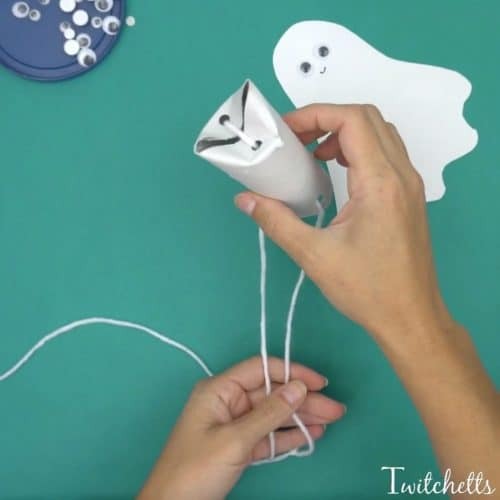 Glue the ghost onto the paper tube and you’re done! 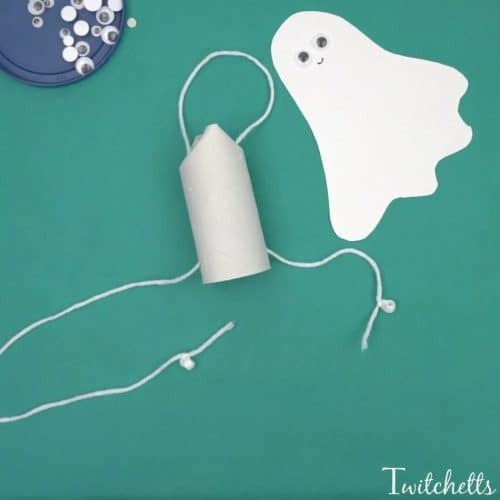 Check out the video to watch how we created the Halloween ghost! 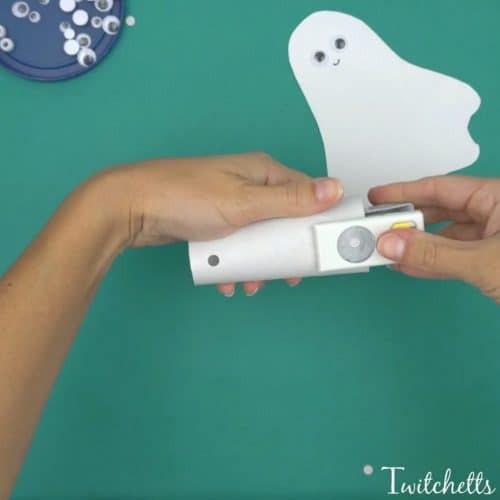 Tape your flying ghosts to a wall or window and let your little one enjoy! 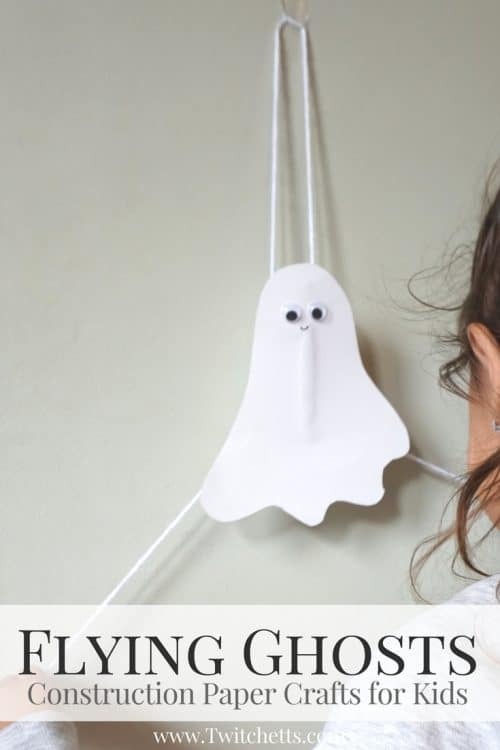 Just pull the beads to the side and watch the ghost fly up in into the air! 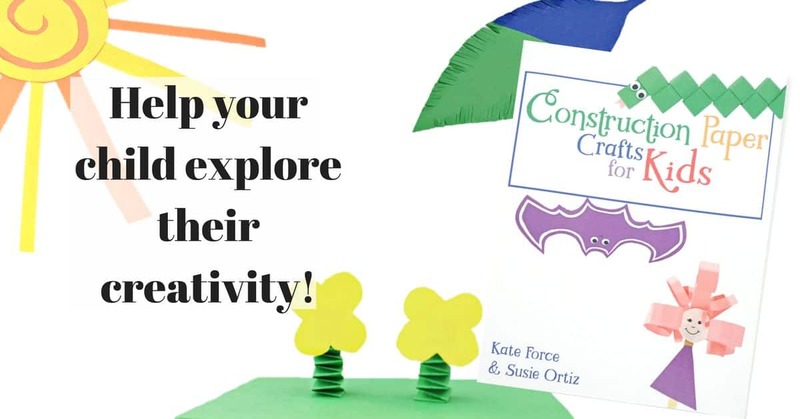 If you enjoyed these construction paper ghosts, you’ll love this!